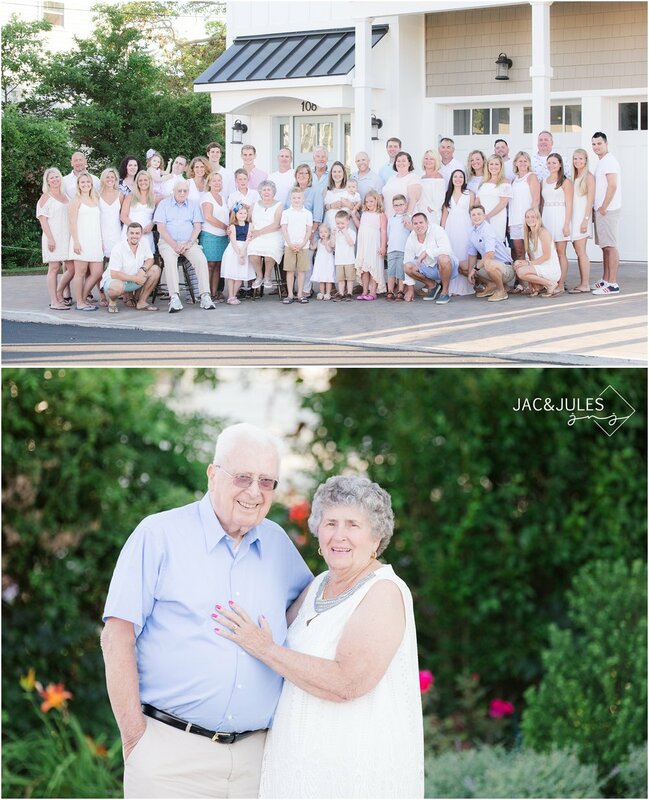 These 2 are celebrating their 60th wedding anniversary, and what better way to document it than with an extended family photo session on the beach in Cape May?! They have amassed an impressive crew over the years...45 people and 4 generations, wow! 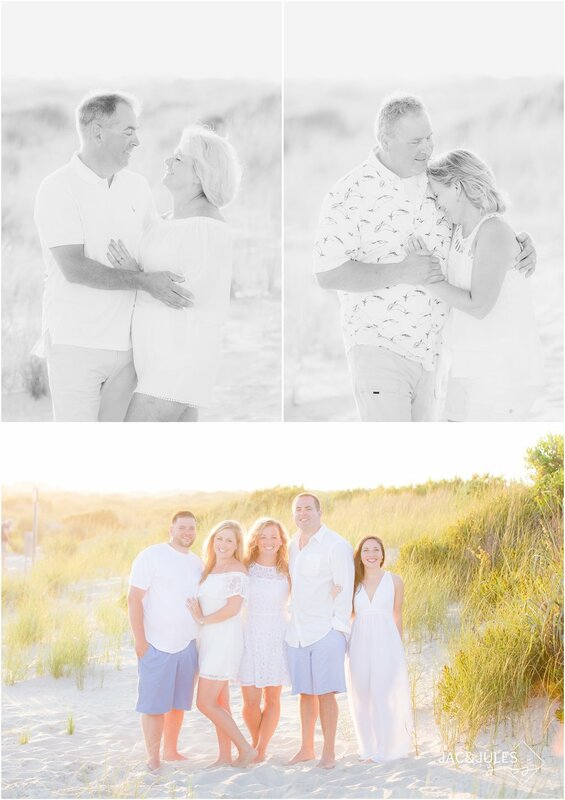 Danielle, one of their granddaughters, was photographed with her boyfriend's family in LBI last year and we were super excited to work with her again, especially when we heard how big this group was (did we mention how much we LOVE extended families?!). 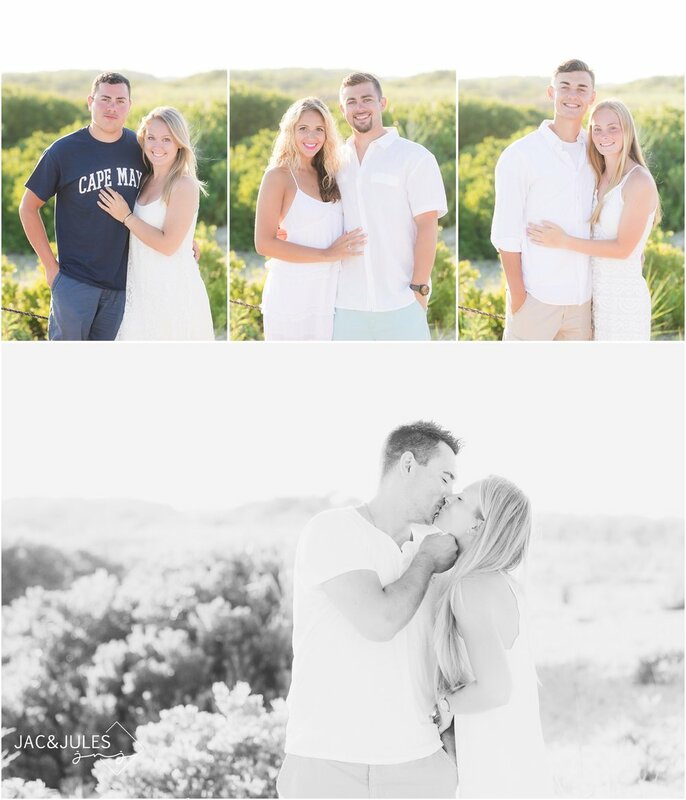 Not only was the entire group a pleasure to work with but we arrived to very exciting news... Danielle's boyfriend had proposed that morning! The whole evening was just amazing. We couldn't be happier for Danielle and are seriously so lucky that we get to work with the BEST families. Congrats, and enjoy! HOLY MOLY, 45 PEOPLE! WE JUST LOVE SEEING THIS AND WE WANT TO KNOW HOW MANY PEOPLE ARE IN YOURS! LEAVE SOME LOVE FOR THESE BEAUTIES IN THE COMMENTS, AND SHARE HOW MANY YOU'VE GOT IN YOUR BROOD... CAN ANYONE BEAT THAT? !